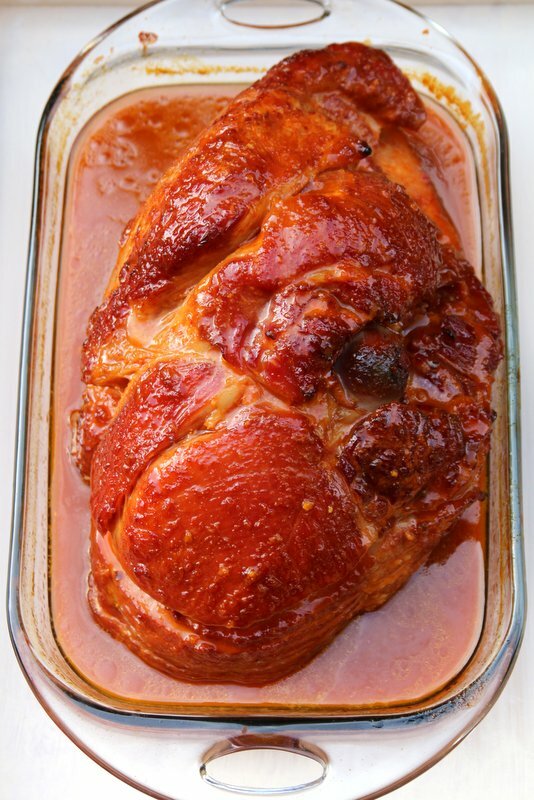 This recipe for orange chipotle ham is made with a fully cooked smoked spiral cut ham and is glazed with a sauce made with chipotle chilies, orange juice, lime juice, cumin, achiote, tequila, sugar or honey, and spices like cinnamon and cloves. My favorite part about the holidays is spending time with family and friends, and of course cooking + eating together. 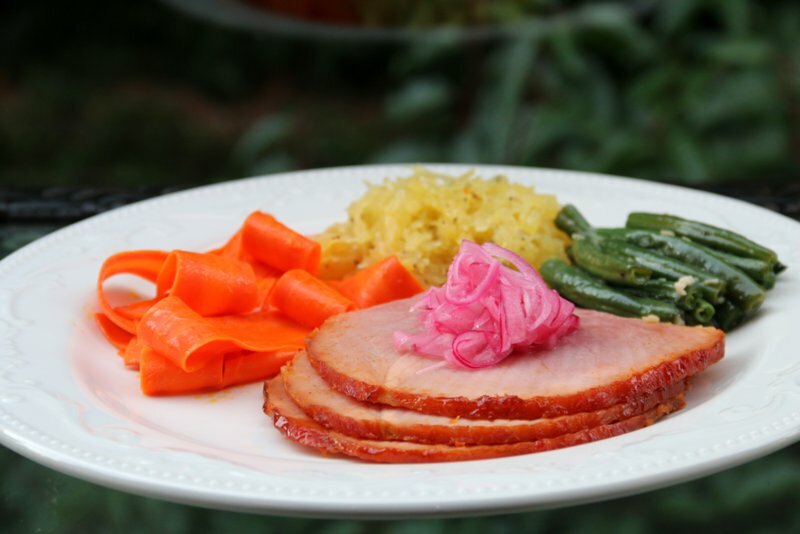 I try to create my holiday menu meals with a mix of dishes that are prepared in advance and easy to make, as well as some dishes that are made right before serving. 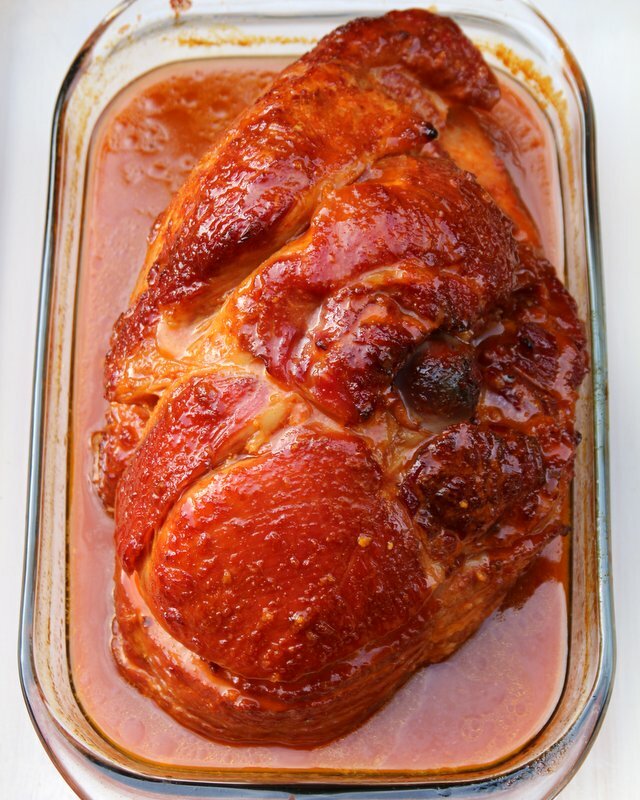 Orange chipotle ham recipe made with a smoked spiral cut ham, baked and glazed with a sauce made with chipotle chilies, orange juice, lime juice, cumin, achiote, tequila, sugar or honey, and spices. 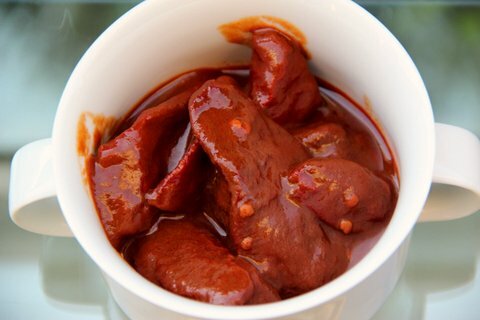 Combine the orange juice, lime juice, chipotle chilies, cumin and achiote in a blender and puree until smooth. Strain if desired. 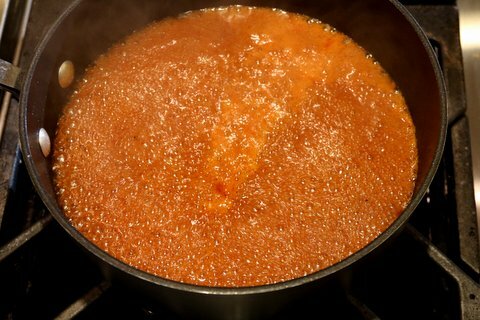 Combine the orange chipotle puree in a medium sized saucepan. 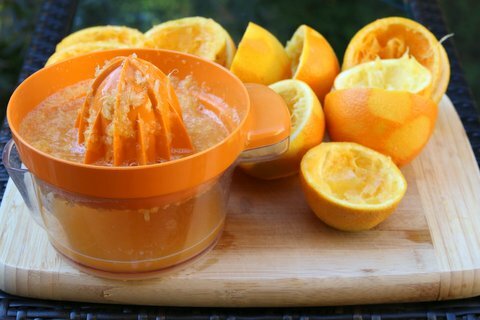 Add the orange zest, tequila, sugar or honey glaze, cinnamon stick, and cloves. 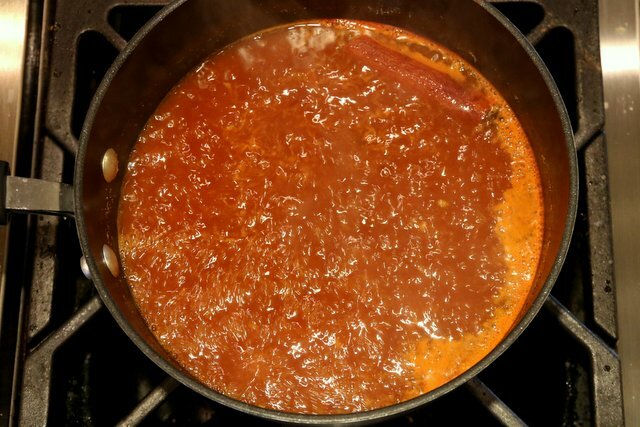 Bring the sauce to a boil, reduce the heat to medium low, and cook for 25-30 minutes. 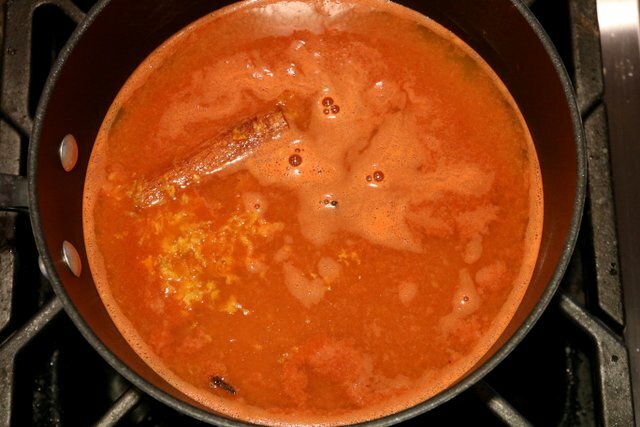 Remove the cloves and the cinnamon stick. 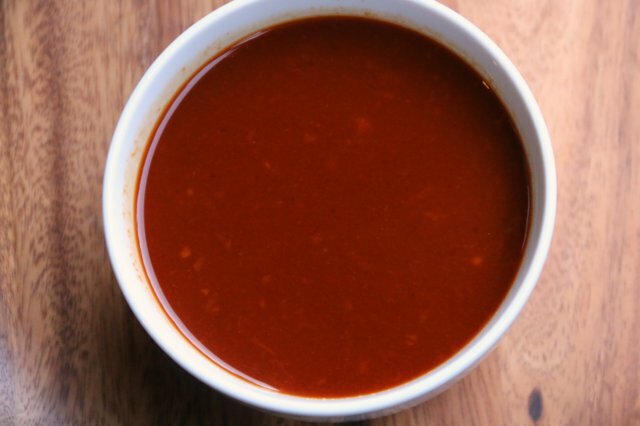 Save the sauce until ready to use. 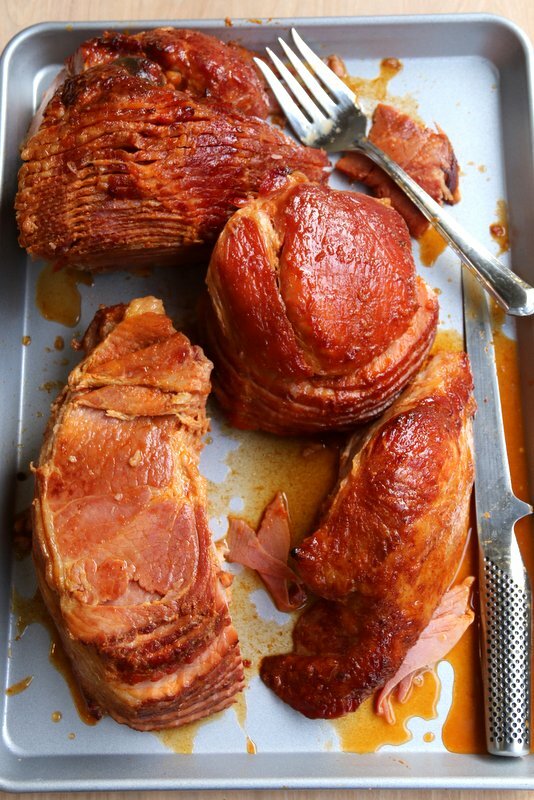 Place the smoked ham in a large baking pan, with the flat side of ham facing down. 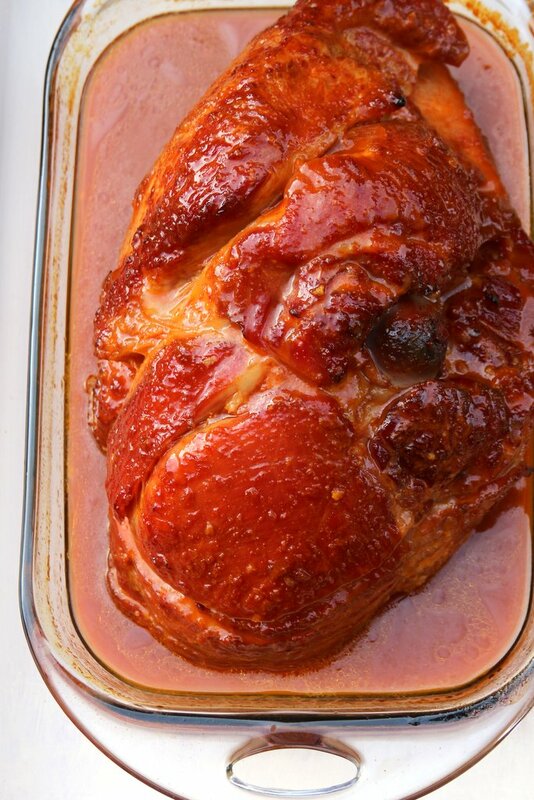 Pour ½ of the orange chipotle sauce over the ham. 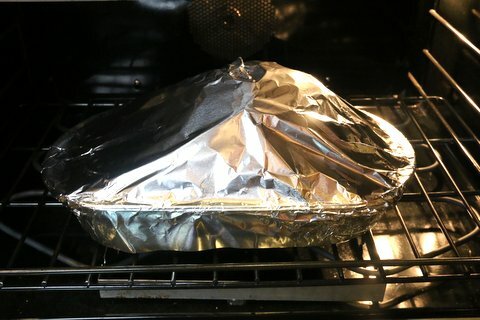 Cover the ham with foil and bake at 325F for about 1 hour. 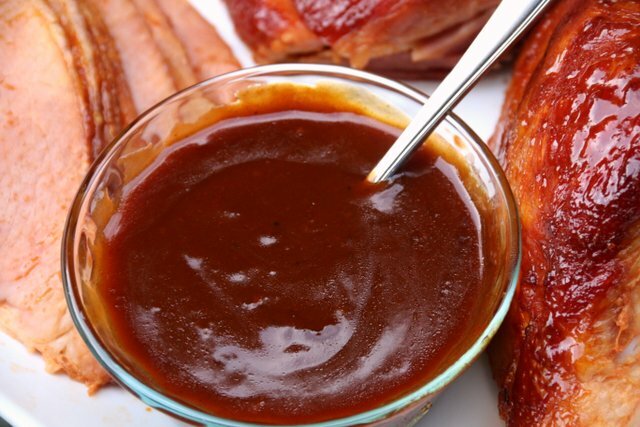 Warm up the rest of the sauce, remove the foil from the ham and pour the remaining sauce over the ham. 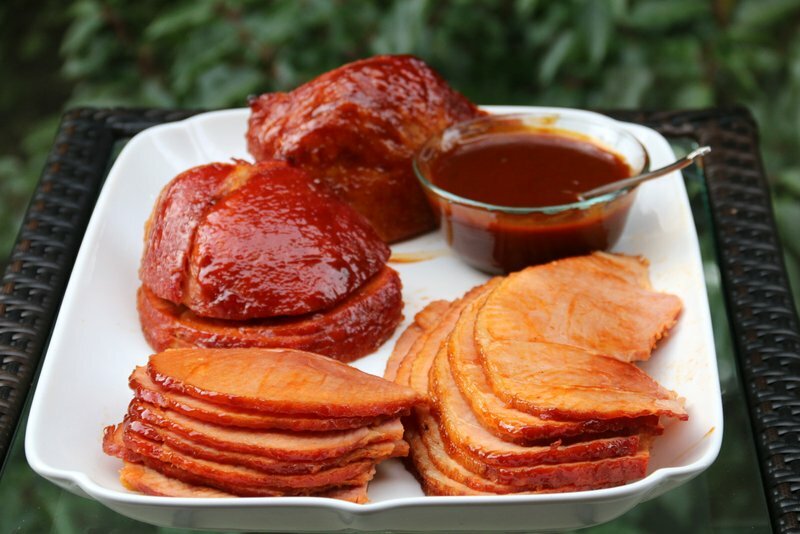 Continue baking the ham for another 40-45 minutes, basting it every 10-15 minutes with the pan sauces. 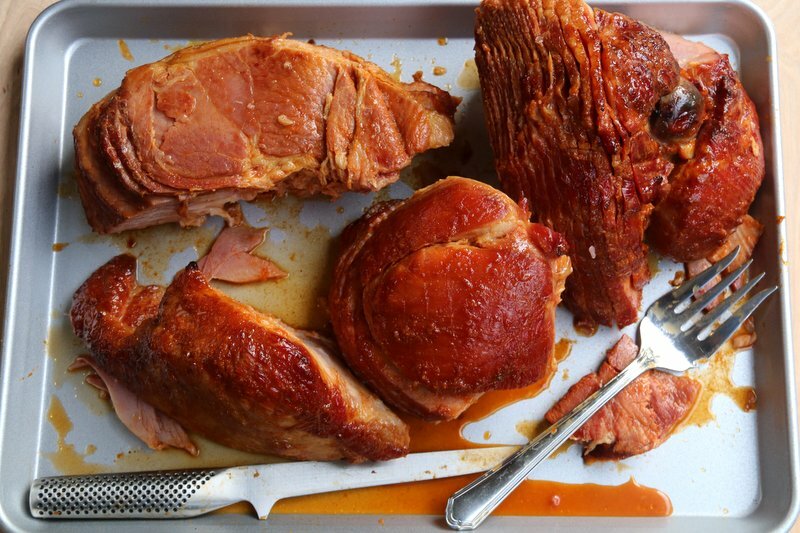 The ham should be baked for about 10-12 minutes per pound. 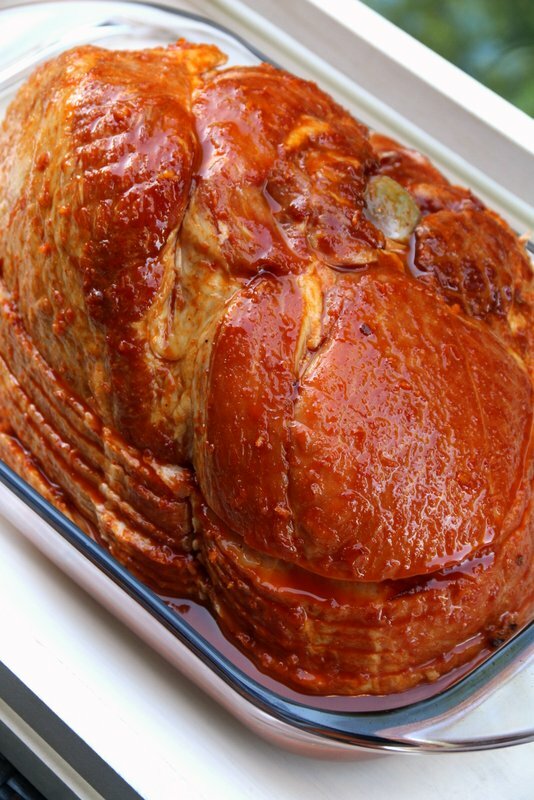 Remove the ham from the oven and let it rest for 5-10 minutes before carving and serving. 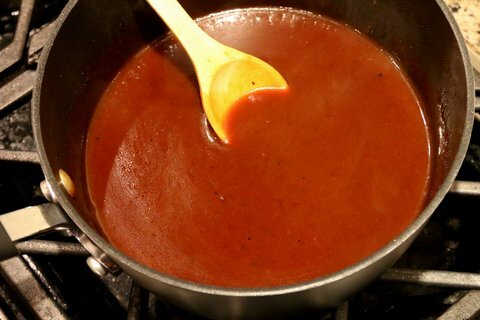 Place ~3 cups of the pan sauces in a small sauce pan with the balsamic vinegar. Bring to boil and cook about 5 minutes. Meanwhile mix the corn starch with a little bit of the pan sauces (or water), then stir into the gravy sauce. 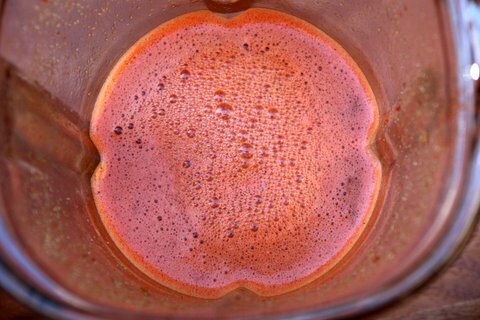 Mix until well dissolved and thickened. Remove from heat and serve warm. My husband seems to think that I overdo and over-complicate the cooking part during holiday meals, and sometimes he’s right. In my defense, if we’re having a large meal with family & friends, I really like to have a least 2 main meat/protein dishes as the stars of the meal. 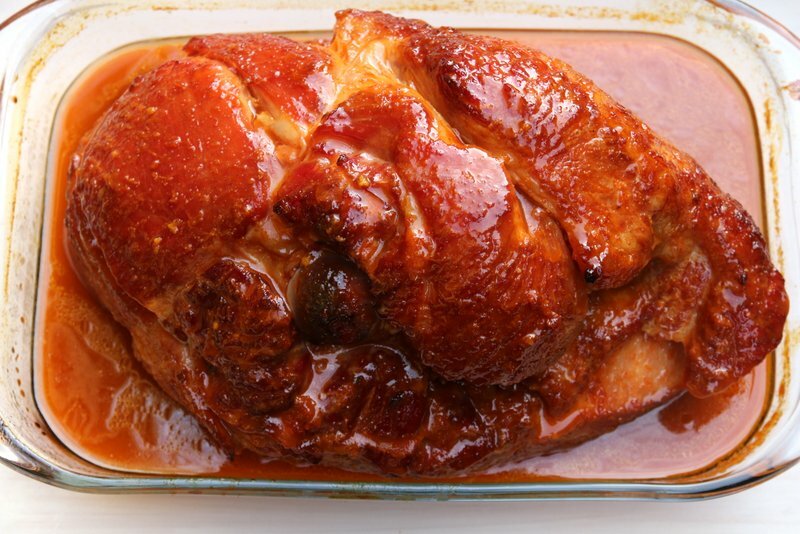 Usually one will be poultry (think turkey, duck, chicken, etc), and the other must-have is a pork dish. 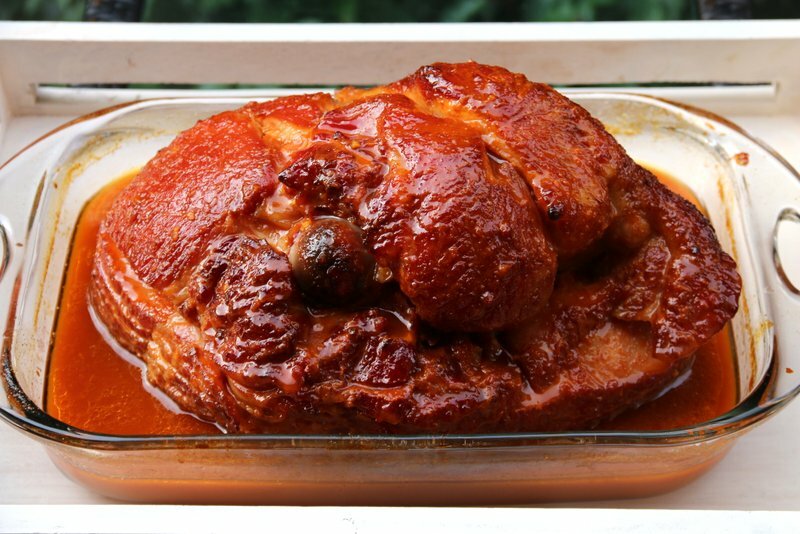 Anyone who grows up in Latin America knows that most holiday celebrations or special events almost always mean that there will be main dish made with pork. 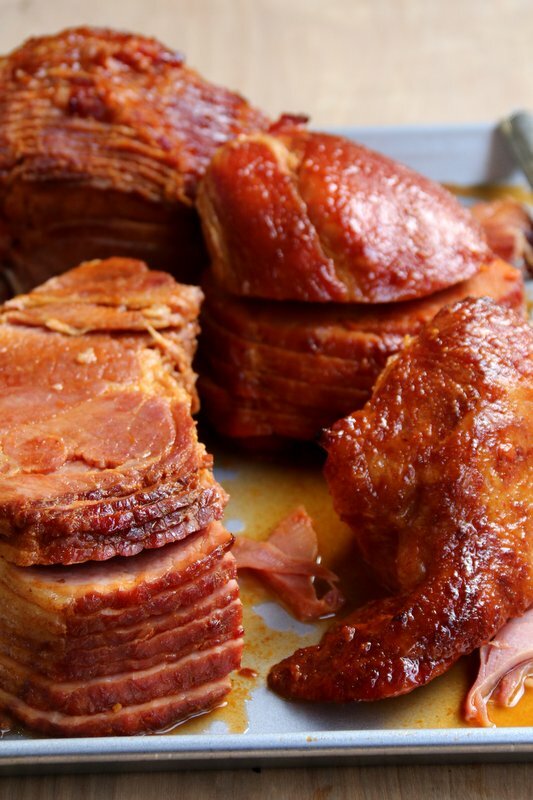 Of course, going back to the over-complicated part, it’s a lot of work to prepare a holiday meal, so using a fully cooked smoked ham can simplify the entire process. 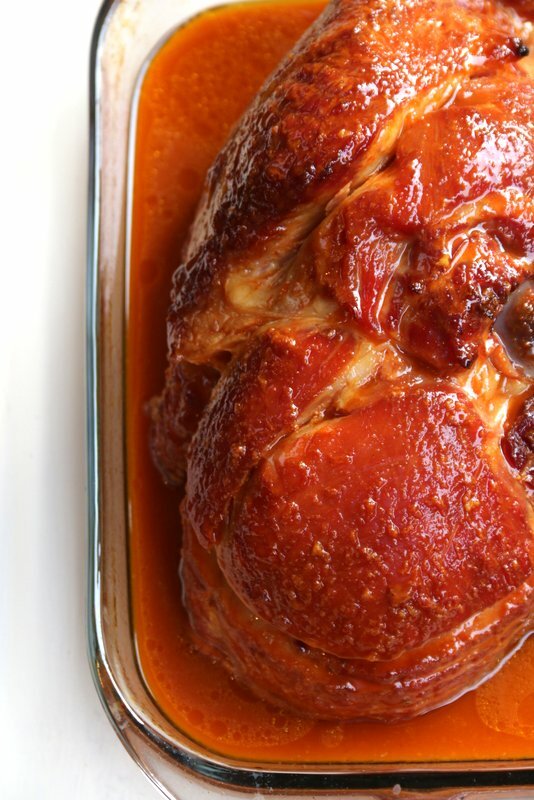 The orange chipotle sauce can be made ahead of time and kept in the fridge until you are ready to bake the ham. 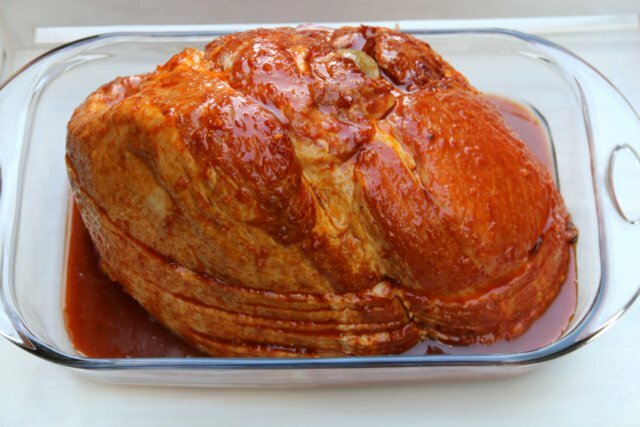 The smoked ham is fully cooked, this way it’s just a matter of baking the ham with the sauce a couple of hours before the meal. 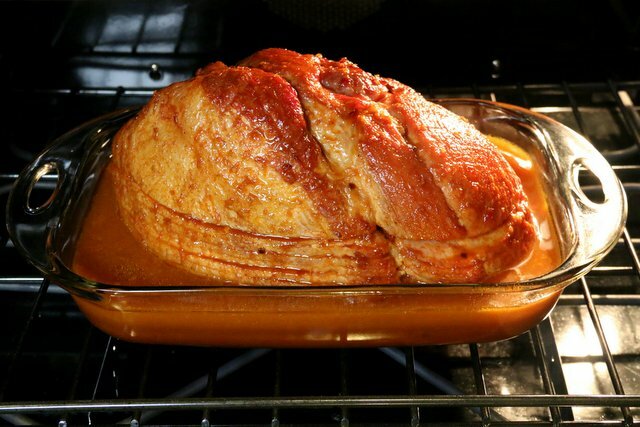 The ham will release a decent amount of natural juices when it bakes. 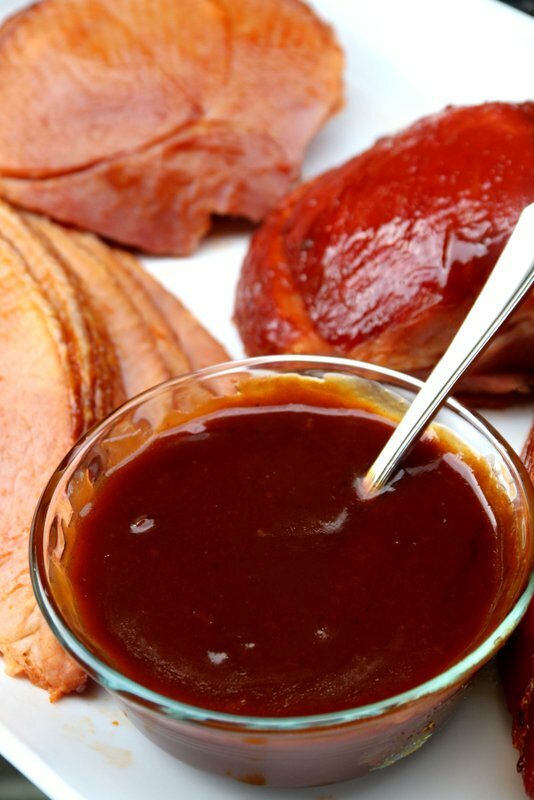 I used part of the pan juices and some balsamic vinegar to make a quick gravy sauce to serve with the ham. As a grilled cheese filing, spread some spicy mustard on slices of bread, add cheese slices and ham, cook on a grilled or in pan with some butter. I also like to add onion slices and tomato slices. 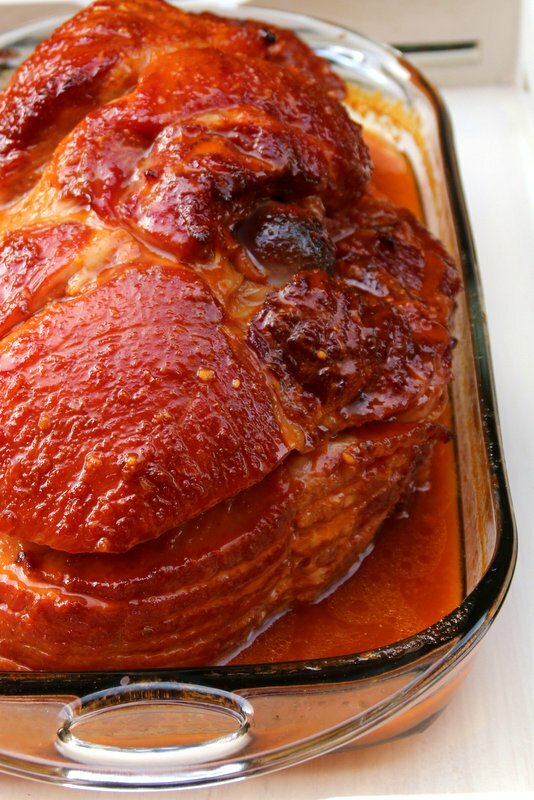 Disclosure: This orange chipotle ham recipe was originally created for Smithfield and I received compensation for this sponsored post. All photos, recipes, opinions and ideas are my own.